I was on the fence about running this morning. It's been busy week between Thanksgiving related activities and seeing friends. I'd run every day since Tuesday including Thursday's 5K. I talked all morning about whether I should go for a trail run or take a rest day. After lunch I was still talking about it and my exasperated wife finally said "Oh, just get into your running clothes and go for a run!" 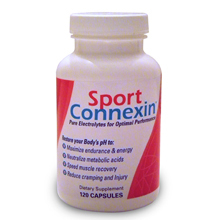 I had received a sample package of Sport Connexin electrolyte capsules in the mail this morning that I'd agreed to try. I took three before my run, per the directions, and headed over Stillwell Woods. I'll start by saying that I had a bad run and I'm not sure why. It could have been due to over training this week, running after a big lunch, the electrolyte supplement or a combination of all three. I followed my usual route into the main woods and quickly came upon markings for tomorrow's Rob's Run, a 5K XC race that is held there each November. I've already raced three times this month, including two Turkey Trots, so I decided to forgo Rob's Run even though it happens so close to home. 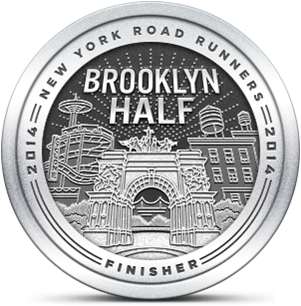 As I made my way along the course I felt far more tired at the one mile mark than I thought I should. My legs felt heavy and the supplements, that contain calcium, magnesium, zinc, potassium, and sodium, were backing up on me and providing a burning sensation in my throat and nose that reminded me of the effects from a highly carbonated beverage. Not pleasant. It may have been because two ingredients (potassium and sodium) are supplied as bicarbonates that may have reacted to stomach acids. No matter what I'm not going to use them again before a run. i was thinking about doing the stillwell 5k this morning, as well -new to the area and wanted to discover some new trail routes. but, like you, i ran a turkey trot this week, and just wasn't up for racing again so soon. would you say that the x-c course is fairly obvious? is there a link to a trail map? thanks. Hi cg9m - there aren't too many maps available for Stillwell Woods. Those that you can find are on sites like MapMyRun and they're really not that helpful. The North Face iPhome Trailhead app has some good user generated maps of Stillwell. Stillwell Woods itself is not well marked and after two years running it I still get lost from time to time. You can't really get in trouble though, eventually you'll come out somewhere. The Rob's Run course was well marked. They use blue spray paint on the trails and that will probably last a few days. I ran the Xterra 6K at Stillwell last March and was concerned about losing my way but I found the course easy to follow. My best advice for you when you run Stillwell is to bring a compass. There are many trails that wrap around and can disorient you (especially when there's no sun to help directionally). Welcome to the area and have fun!